Do you want to know how to safely forage for fungi? 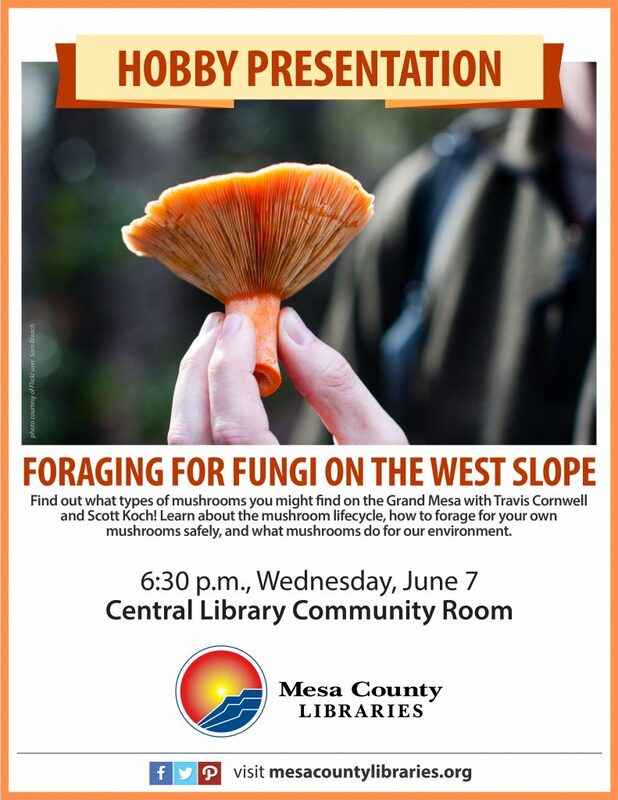 Join us at the Central Library, Wednesday, June 7, at 6:30, in the community room for a look at the different varieties of mushrooms to be found while hiking on the Grand Mesa. Led by experts Travis Cornwell and Scott Koch, this presentation will provide information for safe and confident mushroom hunting this summer.